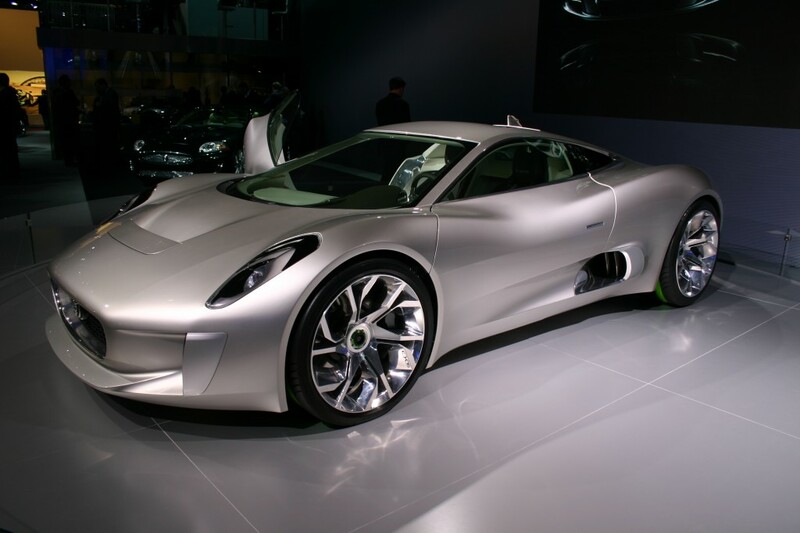 Jaguar is planning production feasibility studies of up to 2000 cars a year for its new 780-hp supercar, sources say. Jaguar is remaining coy about firm production plans for the elegant mid-engine C-X75, but AutoWeek sources say that two levels of production are under consideration. AutoWeek is an affiliate of Automotive News. The higher one is up to 2,000 cars a year, the lower one up to 1,000 cars a year. Each needs to be explored independently because each demands different production methods — the lower number with more hand assembly and lower tooling costs; the higher one with more automation but higher tooling costs. A production version faithful to the gas-turbine powered C-X75 will also have to wait between five years and seven years while Jaguar proves the Bladon Jets micro gas turbines at the heart of the hybrid-electric powertrain. “We’re talking two to three years for implementation of the gas-turbine technology, then another three to four years to integrate into a vehicle,” said Tony Harper, Jaguar’s Head of Advanced Powertrain. 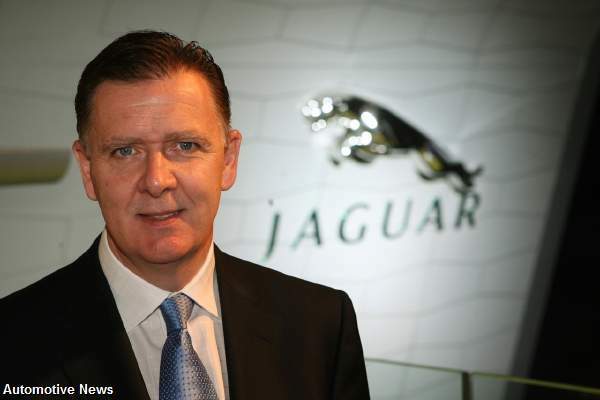 India’s Tata Motors acquired Jaguar along with Land Rover from Ford Motor Co. in 2008. The cost of developing the gas turbines for production could be in the C-X75’s favour, being significantly less than an equivalent internal-combustion engine, running into the tens of millions of dollars. Harper is also confident that the gas turbines can be engineered and proved to rigorous car-industry reliability and endurance standards. There’s much less to go wrong — there are about 100 times fewer parts in a gas turbine than in an internal combustion engine. Replicating a production supercar faithful to the C-X75 design is largely dependent on these gas turbines, because they take up such little space in the engine bay that Jaguar has been able to position the cabin 300 millimeters further back than typical in a conventionally powered supercar. The styling of the C-X75 is the work of designer Matt Beaven, whose credits include the R Coupe and RD6 concepts. A former Volkswagen designer, Beaven counts the original VW Touran and the second-gen Audi A3 among his work. Let’s hope that Jaguar pays homage to Rover, the marque that originally did significant exploratory and development work on gas turbines for use in road cars, rather than claiming they are the first British manufacturer to give serious consideration to the technology. It’ll need a better name. How about JET-5? This looks great in the pictures but, face to face, it’s so-so – it could have been on the Hyundai stand. Mind you, even within the gated Jaguar stand, the XJ and XF were getting the attention.